Today’s guest is Megan Neiman, a high school social studies teacher at McPherson High School in McPherson, Kansas and the current secretary for the Kansas Council for the Social Studies. You know the ones I’m talking about. Well, I actually tried something from it! The curriculum is called Interact and I’ve had some wonderful experiences over the past few years implementing it in my classrooms. Interact is a curriculum designed to let students learn through experiences. It’s written by teachers for teachers and closely follows the old proverb, “Tell me and I’ll forget; show me and I may remember; involve me and I’ll understand.” In a series of different units, students compete in challenges, follow simulations, and participate in assessments that help them develop skills across the curriculum and enhance the use of cooperative learning. Each unit comes in a different book and contains anywhere from three to 20 class periods of activities. Interact supplements learning so students actually remember content because they are involved in their learning. Each book contains a teacher’s guide, purpose and overview, daily lesson plans, student materials, time management guidelines, and support materials. 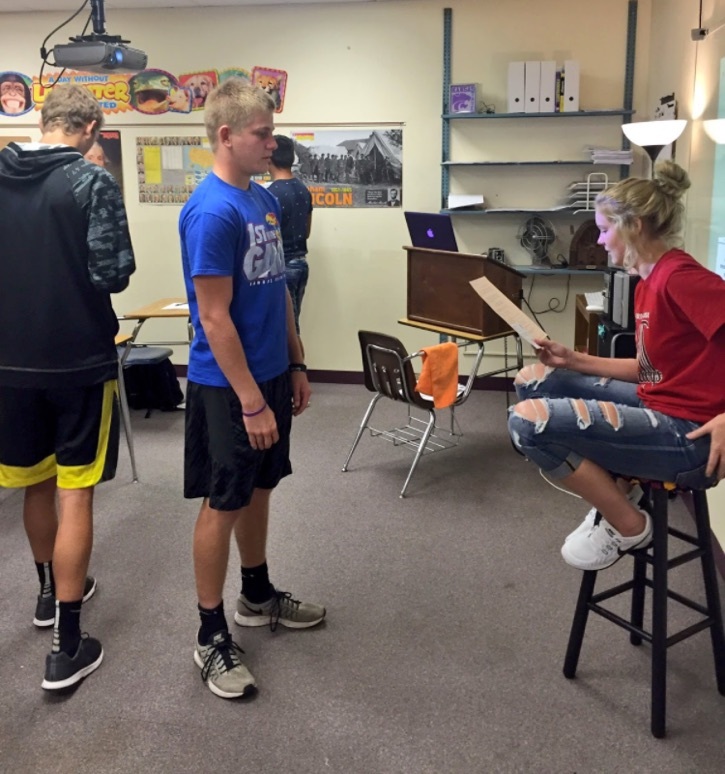 Interact activities require students to analyze tasks and evaluate how to apply their knowledge to create the assigned product. Most units also have activities that can be enhanced by participation from parents, administrators, or community members. This is great for promoting civic engagement and a connection to the community. How do I use it in the classroom? I bought my first Interact book while I was completing my master’s degree four years ago. The book contained several different activities called Ancient History Activators. My favorite to use with my 6th grade Ancient History class was an activity where students took on the role of hunters and gatherers. 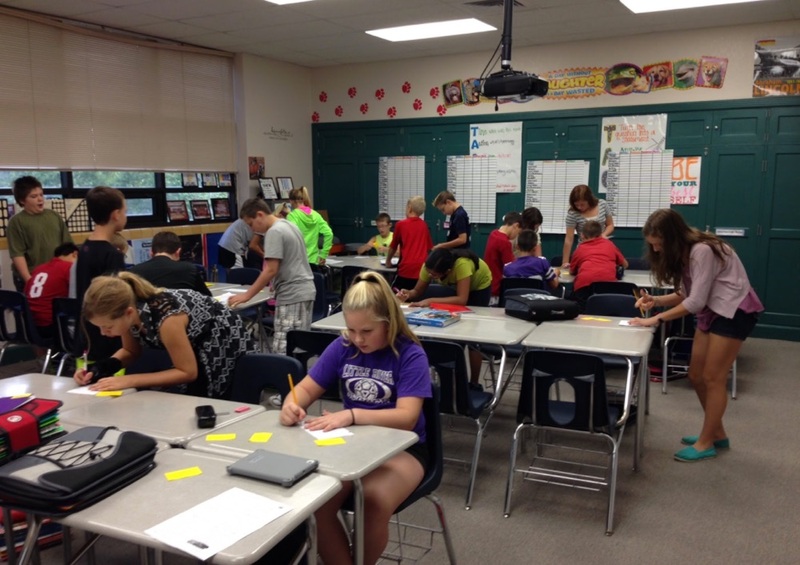 They “hunted” around the classroom for clues and “gathered” information on early-prehistoric civilizations. Then to simulate the onset of farming and writing, they had to keep track of wheat and grains that were being produced all from memory. Students were frustrated but after the activity was over they understood the importance of writing and why it developed – all because they experienced it. I decided to purchase a second book in 2014 called Empires. This unit centered on the rise of the Mesopotamian civilization. We did not open any textbooks nor do extensive research on a particular subject involving the Fertile Crescent. Students retained more information from the content they are exposed to during Empires than they did during a more traditional unit that focused more reading and taking notes. Students later told me that in another class they were asked where writing originated. They recalled from one of their writing challenges in Empires that the writing was called Cuneiform and it originated in Babylonia which is located near the Tigris and Euphrates rivers in Mesopotamia. The students were so happy to tell me that they surprised their teacher by knowing all this information — none of which they had taken in any notes. Can’t we keep doing this all year? I decided then that I needed to purchase more of these books. I wrote a grant to my local Community Education Foundation and received funding to purchase 18 more books. These were used throughout the next two years in my 6th grade ancient history class and my 8th grade American History class. In 2016, I made the jump to high school and quickly realized when I settled into my classroom that I didn’t have a set curriculum to guide me through my first year in a new position. So I turned to Interact and bought a book on American Imperialism and the Philippine annexation issue. My 11th graders were each given a role, either pro-imperialist or anti-imperialist. They had to write a two minute debate speech on the issue of annexation. Then they had to respond to questions from “uncommitted citizens” who were challenging their argument. The students learned about the issues of isolationism and expansionism while also enhancing soft skills such as public speaking and creativity. Learning from past experience, I knew that the best way to get money to buy things for your classroom was to write a grant! So I wrote another one to the Kansas Association of American Educators and received funds to purchase 11 more books, this time related to high school. I just recently wrapped up a fantastic simulation called Panic in my 11th grade American History class. This covered the Stock Market Crash of the 1920s and went all the way through Roosevelt’s New Deal programs of the 1930s. Students began by playing roles as investors in the stock market – buying and selling stocks with prices rising until one day, they plummeted. Any student who had decided to buy on margin for stocks lost millions of dollars. They then took on the role of a lobbyist and lobbied for certain agencies to get the country out of the Depression. 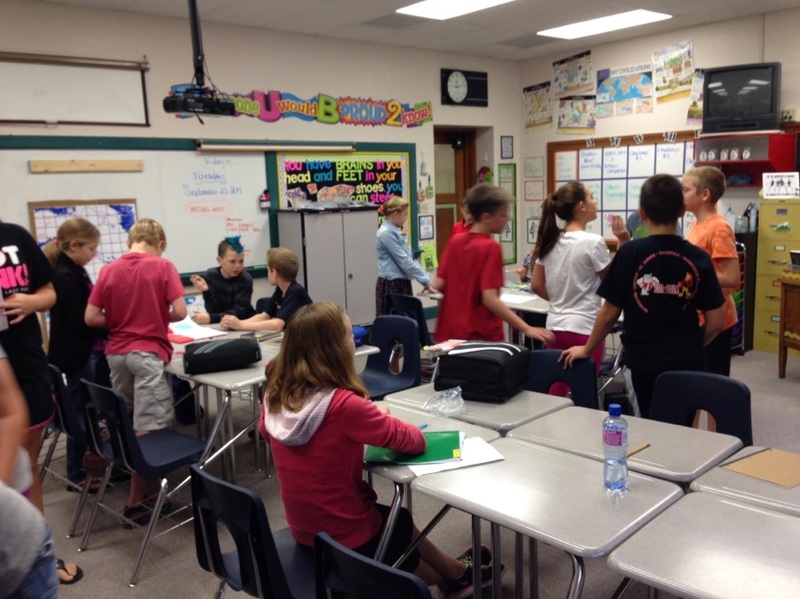 The next activity had students simulating a role as senators and vote on the bills pushed by lobbyists. And finally they became taxpayers, paying for the bills that they just passed as senators. 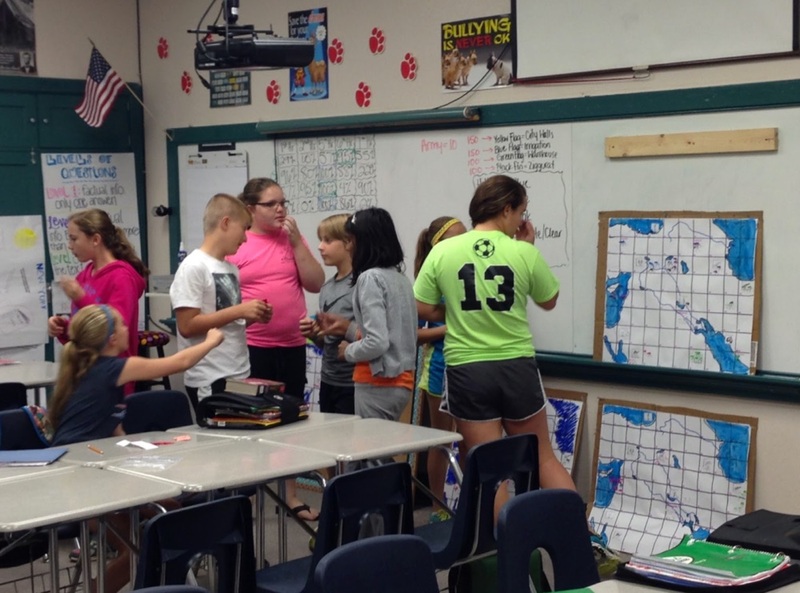 Students were engaged. They were talking about the activity in other classes. Kids who had millions of dollars left after the stock market crashed were trying to loan out money to students in a completely different hour. Time and money. Everything takes time and money. You have to prioritize if you are going to implement these books into your curriculum. Some years I did every single activity, some years I had skipped certain things. Adapt what works best for your classroom. As far as money goes, there are always companies that want to help teachers out. Besides KANAAE, I’ve also used Donors Choose to fund curriculum in my classroom.